There’s no faster way to ruin your body than not getting a good night’s sleep. It makes you slower, less productive, more likely to reach for sugary foods – and you can forget about having the motivation to exercise. I’m on a quest to sleep better with the help of Fitbit, tracking my Sleep Stages and taking on board Fitbit’s Sleep Insights to kick the bad habits and get myself into a more healthy nightly routine. This week has been about challenging myself to improve my rest with exercise with the aid of my Fitbit Versa. Sleep is an essential component for getting fit and making sure those workouts have the desired effect; it’s during sleep that the muscles repair themselves and the body recovers. And a healthy exercise routine can also help you sleep better. Studies have shown that 150 minutes of exercise a week can improve the quality of your snoozing; however the relationship between exercise and sleep is a personal one, as Conor Heneghan, Fitbit’s lead sleep scientist, told me. When it comes to the time of day you exercise, the effects of exercise on sleep depend on the individual. Some people may end up getting more deep sleep if they exercise earlier in the day, while for others they may actually get less. So tracking your Sleep Stages on your Fitbit can be very helpful in understanding what suits you. My usual exercise routine is generally running two or three days a week, and strength training on two of the other days. I’m more of a late exerciser than an early one, so I tend to get my workout on right after work, although sometimes this can slip into the late evening. Is that a good thing or not? This is where Fitbit’s Sleep Insights can be so valuable. The Fitbit app is keeping an eye on your activity and sleep trends over time, and it’s going to notice where correlations start forming. If you happen to sleep more on days where you exercise, Fitbit’s Sleep Insights will let you know. 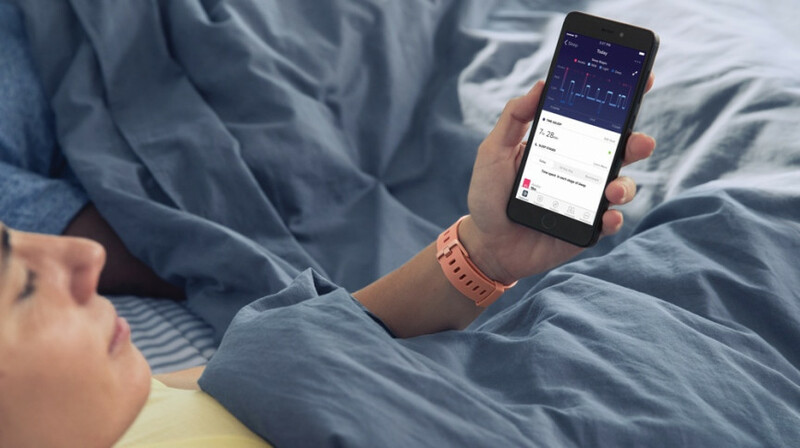 Fitbit’s new Sleep Score feature, currently in beta, will also help you make sense of your sleep quality by analysing not only your sleep depth and duration, but something it calls Revitalization, which is a measurement of how restorative your sleep is – something that's super important for recovering after a workout. As for my trends – generally, on days I’m exercising, I tend to sleep better. However, it’s important to consider the types of exercises you’re doing and the times of day you’re doing them. While I do tend to sleep a little better on days I’ve exercised, the time of day can be important. Cardio workouts backfire when I do them late at night, although it's going to be a personal thing, and for some people working out late at night will be fine. Research actually suggests that those who pump iron in the evening have a better sleep through the night, while early-morning exercisers are better at falling asleep faster. If you’ve just finished a sweaty run, chances are you’re still going to be pumping blood, which is why it can take a little longer to drift off. For some people that might make it harder to fall asleep, as I’ve found, but for others it won’t matter. If I run between 5pm and 7pm, I’m giving my body the workout it needs, but giving it enough time to wind down before bed. Again, that may work differently for you. With that in mind, I decided to tweak my workout schedule. The Fitbit app lets me create a workout routine, so I made one for five days a week – three for running, two for strength training. In the app I’ve been able to see that this routine is keeping my sleep schedule healthier. You can see the difference in the two nights below. On the left is a night after a day of doing very little, with no workouts, and my sleep through the night was less consistent as a result, with more awake time. As you can see on the graph, there was a fair amount more waking up on the night after a pretty sedentary day. Meanwhile on the right is a night where I exercised at 7pm and then had dinner – and the result was a better, less restless night’s sleep. I’ve been using the Fitbit bedtime reminder to help keep me to a regular routine. I get the alert on my Fitbit Versa that it’s time to start winding down, and in most cases, I fall asleep faster and into a more restful sleep on days I’ve exercised than on those where I’ve been more sedentary. I just make sure that I’m in a position to wind down when I see the bedtime reminder appear. On days where I’ve moved around very little – often coming in significantly under my daily step count – I find that my sleep is less restful, with more awake time. The biggest improvement with my new exercise routine has been falling asleep faster, which is helping me not only stick to a consistent bedtime routine, but ensuring I’m maximising those all-important hours of deep sleep that come earlier in the night. You can read more about how those different sleep stages work here. Finding the right time of day to work out is important, but as my experience has shown, getting the right amount of exercise is most important of all to getting a good night’s shut-eye. Think of it like a cycle. Getting more and better sleep leads to more energy to exercise and hit those fitness goals, and the more I stick to getting a healthy amount of exercise, the more likely I am to get a more restful night – and be raring to take on whatever the next day throws at me. I am sorry but Fitbit guesses at Sleep stages. Show me the peer-reviewed studies that tell me I'm wrong. I like my Fitbit Versa. But it just uses heart rate and wrist movement and that can just about tell me how long I am in bed for and not evern really how long I am asleep for. What's more the heart rate does not even assess HRV/RR data and so there is no real quantification of recovery. Of course it is recovery that enables you to be, as you say, "..raring to take on whatever the next day throws at me." Do you delete valid queries or meaningfully reply to them?